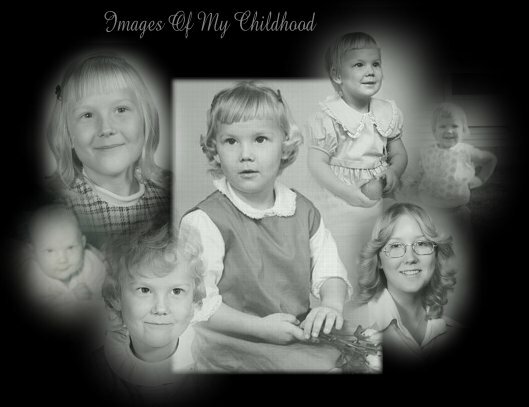 I found one of my old geocities websites on an internet archive (Wayback Machine) and found this collage of images from my childhood. I thought I'd lost this collage of old photos of me forever when geocities closed down. 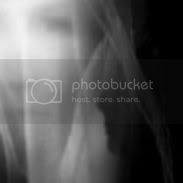 I wrote this (descriptive) poem (of another preincarnate memory) also about 15 years ago and have posted it on my blogs before. I am now retitling it Annarr / Anþeraz , as it relates to "the Other", Uruz ("the Other rune"), the Night, endurance, changing form (unwinding), reformation (winding), control of chaotic primal forces, and manifestation. This story has been posted on my various blogs many times over the years, but I reposting it again now. Once upon time, You and I walked together. See what I am doing. Look here. See what I am making. Edges. i see what You are making. i see edges. What are edges? See what edges are doing. Looking, i see what edges are doing. What do edges feel like? Ohh! to feeeel edges! to feel edges against edges! to know edges! Look. See. See edges against edges. These will be your edges and edges. This is what edges will do. Look and see. i don't have the strength. i can't do it. I will do it. I will carry you through it, to it that swallows all pain, the brightening and the brilliance. How wonderful the things for me i see. Yes! Yes! Edges to feel! Wonderful edges with wonderful things to do! i could remember thinking and doing things, but my senses did not retain perceptions, although a smell would remain within me, marking their actuality. i was unable to fully form and hold onto the ideas that existed in my mind. Ohhh! to remember the feel of my edges! Like a hug all around me loosened. In an instant, my eyes could see. i was startled and amazed at the impact of remembering whole perceptions. i felt in existence. How wonderful! This beautiful mo-ment in time! My mother walking away, toward the yellow and white thing, opening it to pull out a cloth for my bottom. Mother! Mother! i can see! But words as I had spoken with You would not form in my mouth of edges. Realizing that for as much as definition was desirable, for the first time, i felt limit. Turning around to speak ... but i could not turn around in remembering edges! i turned my head instead. Ohhh! no! i can feel and hear You, but i cannot see You! i did not understand! i want to come home! i want to come home! you have edges to feel and do, do you remember? Yes, i remember how i saw with You. But i cannot see You in this world of edges! And i will not feel and hear You always as i do now, i fear. i want to come home! ... ... ... and i remember still today that you will carry me through it, to it ... the brightening and the brilliance. Just an additional note, I think it's pretty cool that the form of Algiz has a middle pillar (the Experiencer) with an arm on one side (the fylgja catching normative consciousness) and an arm on the other side (Odin plucking up into expanded consciousness). This is another poem I wrote about 15 years ago attempting to describe another preincarnate memory I have carried with me all of my life - one that is very near to the point where I was "thrown down" towards actually incarnating. It is a dark dark poem. I am linking this experience to Thurisaz, the thorn which awakens the will to action, a rune whose essence pertains to dangerously aggressive forces, women's suffering, harnessing the unstoppable, initiatory testing (in my preincarnate state - the initiation into incarnation), and also, if one is able to "grasp the thorn" so to speak, grapple with it successfully, and to transform it into a tool of evolving consciousness, then it may also be linked to the power of Thor's Hammer. This poem also links to the Goddesses Frigg and Saga, as I will explain (according to my experience anyway) following the poem. The highest (first) is Frigg. Consequently, first (highest) in my poem is Frigg. In my experience, Frigg and Saga are one and the same, and both are connected to Thurisaz. A few who know me here from the AFA website know that I have shared thatI have experienced continuous consciousness from before I was born and that I was born with memory of my journey into physical existence intact to this day. While I won't go into all that now, I am taking poems I wrote about 15 years ago (during my "bardic" phase of spiritual pathworking) describing aspects of those memories and relating them to the essence of the runes according to my present understanding. The poem below attempts to describe one of my memories of preincarnate experience - I am linking this particular experience/poem to the essence of Dagaz, with its emphasis on the dance and mystical movement of a dark-light polarity, synthesis, "divisions of the day" (the poem was originally entitled Divisions of the Night), paradox, and Metodes leoht (Creator's light).